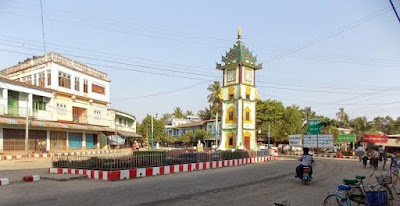 Maungdaw, Arakan – Myanmar authorities have continued abuses against Rohingya people in Maungdaw even with a recent visit by a delegation led by the UN resident coordinator and senior diplomats in the township. On Thursday, November 3rd, 2016 at around 11AM the Myanmar military raided the homes of Jinnah Khan and Siraz Uddin in Nga Ku Ra village tract. The two men were killed recently while they were in police custody during the second week of October. Reportedly the military looted all valuables from Jinnah Khan’s house. The houses were raided again in the evening. Two elderly men were arrested during raids on the houses in the morning, but were released shortly after. Later in the afternoon at around 2pm on Thursday Hamid, a hamlet administration member from the West hamlet of Kyee Kan Pyin village, Abdul Hashim, a school teacher, another village administrator and five members of the administration of Nwa Yone Taung village tract were brought to Wa Baik hamlet by the Myanmar military and Border Guard Police (BGP). The Military and BGP then said they recovered four guns buried in the ground. They forced the Rohingya who they detained to sign testimony while being video recorded that they were witnesses to the discovery. “If they had found the guns and showed them to the Rohingya that would be acceptable, but this time they dug a hole when all the Rohingya were brought to them. They [BGP and Military] knew where the guns were buried. It is a made up drama and the Rohingya had to sign as witnesses to it because they were forced to do so,” a villager told RB News. Later in the evening at 5PM some BGP from region six shot two Rohingya villagers without provocation in Phot Khali hamlet in Zin Paing Nyar village tract. The men were reportedly walking at the time and were shot without reason. The men were identified as sixty year old Amir Ullah, son of Mamed Sharif, who was wounded in his leg, and 40 year old Zakir Ahmed, son of Mohammed Amin, who was shot in the stomach. Zakir is reported as in critical condition. At the same time three villagers were arrested by the same BGP officers in the same hamlet. At around 6pm there was an exchange of gunfire continuously from the BGP outpost in Nurullah hamlet in Baggona (Tet Oo Chaung) village tract. State media and some private media immediately blamed the incident on Rohingya militants. Upon deeper investigation RB News uncovered that the gunfire was the result of a dispute between members of the BGP. State media reported that one member of the BGP was killed and another was wounded. The dispute in question occurred around 4PM at the outpost. 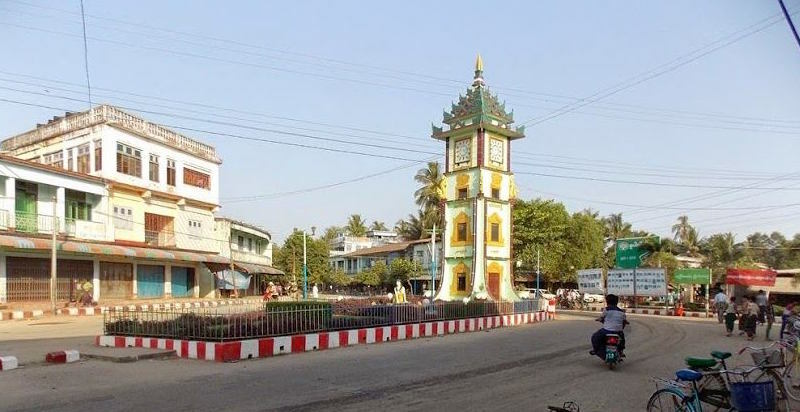 The BGP’s in charge could not control a dispute among the BGP and the Police Major from Ma Gyi Chaung outpost came to settle the matter. 15 minutes after the Police Major left shots were fired continuously within the BGP outpost. According to a report by state media, six militants arrived by motorcycle and shot th BGP with small guns and left a home-made bomb and four pistol bags. “I saw it with my own eyes. I saw the outpost when I heard the gunshots. I didn’t see any motorcycles or any men outside of the outpost. I believe the were shooting from inside the outpost. I observed for a long time and I didn’t see anyone come in or go out of the outpost. What the media is saying doesn’t make sense,” an eyewitness told RB News. The BGP are notoriously heavy drinkers and have been witnessed drunk every day at around sunset. This has often resulted in fighting and quarreling among themselves. A few months ago a similar incident occurred where the BGP in Thin Baw Kwae outpost in southern Maungdaw exchanged fire between themselves with one police officer reportedly killed. At 6:15PM two houses in Wa Baik torched by the military. One was owned by Hussein, the biggest house in the village. Additional reporting by MYARF and Rohingya Eye.